Spring weather is finally here and after one hell of a long winter, I finally have some content to share and a lot of motivation to actually execute my ideas! 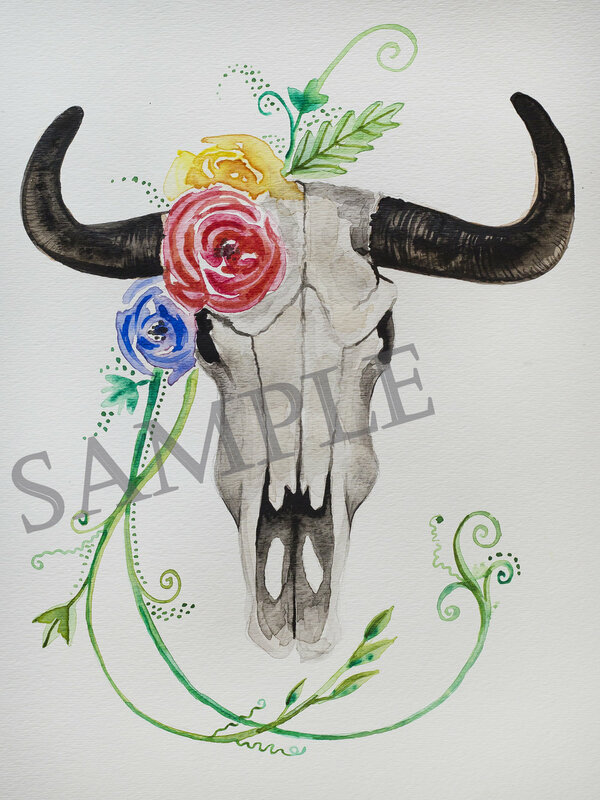 I just recently finished my piece for Taurus season which was inspired by both my Taurus friend and my love for bull skulls. The above photo isn't the final piece, I still have some detail touching to do before I get prints made, but it will be available soon for anyone who would like a copy of "Taurus". The concept came from the Queen of Diamonds. (In a deck of cards, the diamond suit represents the element of air, which is the element that Gemini falls under!) I also put a lot of thought into the colours that I should use for this piece as well, concluding that yellow and purple would best represent this sign's vivacity. As well as art, I've been trying to plan my flower and veggie garden for this year and explore different avenues of hobby farming. I will blog more about those endeavors later. I also have a post in the works about the journey that brought me into this very spiritual place in my life!